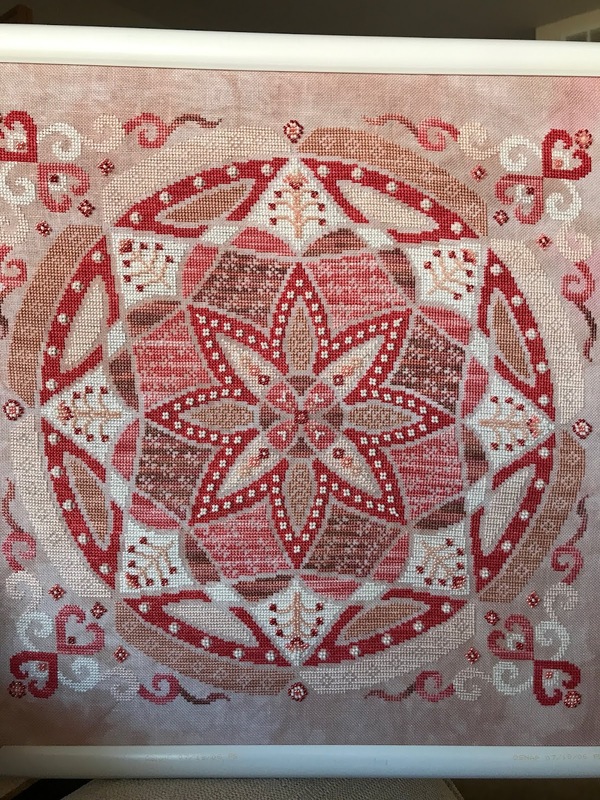 This was such a joy to stitch from start to finish. 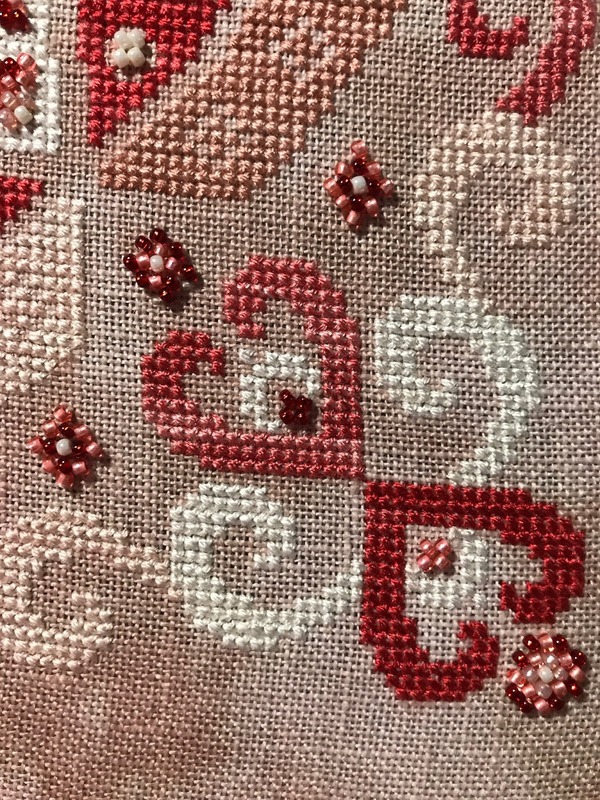 I don't know if it was the fabric or the silk or the sparkle of the beads or the fact that this entire kit was a surprise gift from a dear stitchy angel friend, but I do know that it was completely wonderful. Rich commented that I had a peaceful smile on my face every time I played with this, and that's exactly what I will remember every time I look at it...peace and happiness. Stay warm and safe and dry today, Dearies! Do something wonderful for yourself and come tell me all about it! Just gorgeous! You did a wonderful job! I am so glad this will hold fond memories for you. It will for me too. This is an absolutely gorgeous piece! And it's made even better that you loved working on it and will feel peace and happiness when you look at it. I am continually reminded how wonderful this hobby is! I hope you can display it somewhere in your home where you can enjoy it every day. Hope you have a great Thursday! Congratulations Coni! What a wonderful finish! Well done I think you get to do two happy dances. After all there was stitching and beading😁 I'm inspired to go play. It's absolutely beautiful. I'm impressed how much the beads added to the project. That turned out soooooo nice! Stay warm! Connie - I've watched this wonderful project from the very beginning! Congratulations on a grand and gorgeous finish. 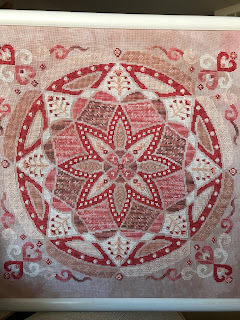 I know that you have many many complicated things going on in your life - - - but I do love to see a devoted Stitcher, in spite of "all that" just getting on with things and producing stunning work. You're a credit to stitchers everywhere! So beautiful! You are inspiring me to do this project, but it's so expensive. I think it will be well worth it, though! Beautiful! Congratulations Coni, well done! Congrats!!! It is so beautiful! Yaaaaay you. Fabulous job. Congratulations. It's so beautiful! 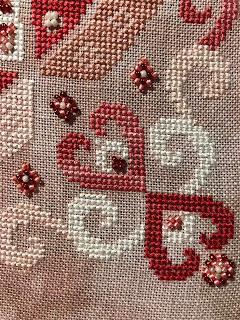 It always amazes me that just a needle and thread can bring such happiness and peace, even - perhaps especially - in such difficult times. Perhaps it would make a comfy, cuddly throw pillow for the Big Girl Sleigh Bed? WOW, Just WOW!!!! Congratulations on a beautiful finish!!!! Coni-what a beautiful piece! Congrats on the finish! So pretty. Stay warm. I'm thankful the vortex didn't stretch to CO and fell bad for those being affected. THUD! That's me hitting the floor. Awesome, totally awesome. Beautiful - well done indeed and so glad you are back in happy land! such a wonderful gift to work on in the midst of your storm.!! Coni, congratulations on your finish of RVC! It looks fabulous.